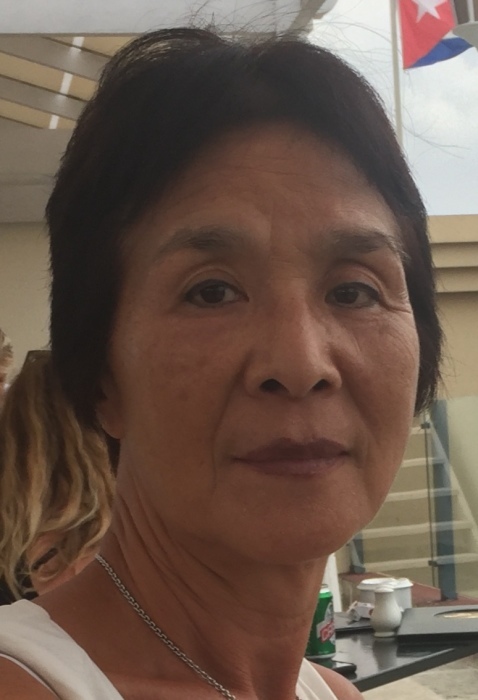 Jeannie W. Ji, 65, of Terre Haute passed away Thursday, March 28, 2019 at 11:19 am at IU Methodist Hospital in Indianapolis. She was President and Owner of Jeannie’s TV & Appliance in Terre Haute. She was born December 26, 1953 in South Korea to Keum Yong Ji and Ha Ok Seo. Jeannie is survived by her sons, Mike Courtney (and his wife Deanna) of Redondo Beach, CA, Daniel Farber of Costa Mesa, CA, and Adam Farber of Louisville, KY; a brother, Inge Ji (and his wife Lee) of Terre Haute; grandson, Crew Courtney; nieces and nephews, Alice Ji Malizia, Jessica Ji Huffman, and Jon Ji; and her life partner, Terry Parks. She was preceded in death by her parents, granddaughter, Keira Courtney and several brothers and sisters. Jeannie immigrated to the United States in 1972, and the first job she held was at the Heath Candy Factory in Robinson, IL. She then bought a local TV store in 1979 and named it Jeannie’s Sony Shop, which later became Jeannie’s TV and Appliance that at one time had locations in Robinson and Terre Haute. In the nearly 40 years of business, Jeannie’s was a top producing regional and national retailer across the satellite, electronics, and appliance categories and a fixture in the Wabash Valley community. She was a published author of Butterfly, an autobiography about her life journey from South Korea to America. She was an avid tennis player, loved opera and classical music, and was an accomplished pianist. Jeannie loved to garden and a passionate supporter of Habitat for Humanity. A private family graveside service has been scheduled and a Celebration of Life is being planned for friends and family (Date TBD). DeBaun Springhill Chapel is in charge of arrangements. Online condolences may be left at www.debaunfuneralhomes.com.